The creative combination of religion and horror may seem outlandish or lame, but for the father of psychedelia himself, Roky Erickson, these are his two favourite themes for musical composition. The 62-year-old explained this in an a recent interview with Will Sheff, the producer and front-man of Erickson's current backing band Okkervil River. Sure, they're not Erickson's 13th Floor Elevators, but you couldn't ask for a more inspired choice for his first original record in 14 years, True Love Cast Out All Evil, out April 20 on Anti- Records. To listen to his harrowing new album, click here, where True Love Cast Out All Evil will be streaming on Exclaim.ca all week. Made up of unreleased songs from throughout Erickson's career, the album is a biographical compilation, detailing with shocking honesty his struggles with mental illness, shock treatment, imprisonment and loss. To drive the point home, album producer Sheff layered on archived recordings of Erickson's home videos and from his time at the Rusk State Hospital for the Criminally Insane. Overall, the LP is a well-executed mishmash of psych, metal, country and garage rock: just about what you'd expect from a crazy old southerner backed by a new age group of dark indie rockers. But True Love is no self-indulgent cash-grab as these sorts of comebacks tend to be. "This is not a... lukewarm update on an established legacy," Sheff professed in a press release. 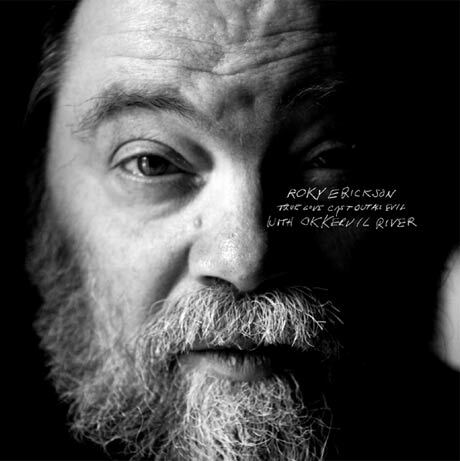 "These are the best songs Roky has ever written, unreleased due to decades plagued by the kind of personal tragedies that would destroy someone less resilient." As spooky as the album's theme may be, the new release displays an optimism that pulled Erickson through the worst experiences most people could ever endure, making for a record that will comfort you in the low times and hem your relatively trivial struggles with a silver lining. True Love Cast Out All Evil will be streaming on Exclaim.ca until April 19.